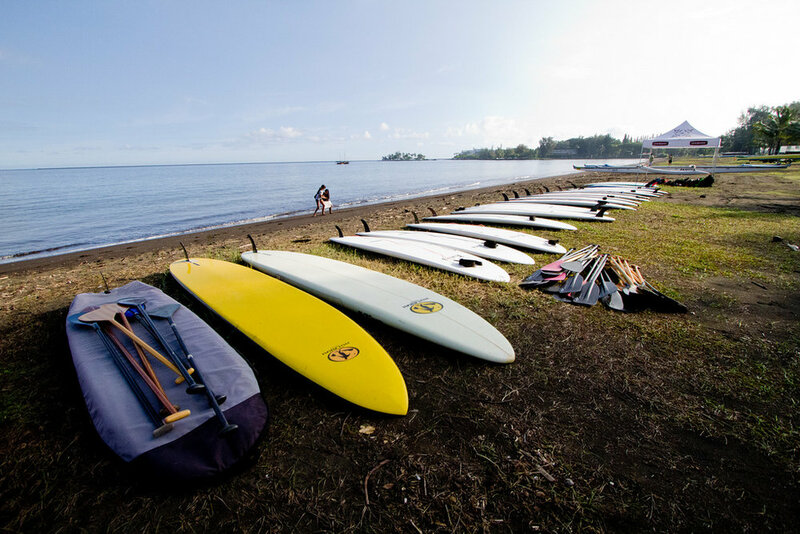 Here’s The Paddleboard Outlets top tips for when you are buying your first ever paddle board. A lot of our customers will hire boards for a period of time before purchasing but need that extra bit of guidance to what will suit them best, so here we are ! One of the key things to consider when choosing your first board is the stiffness and rigidity. Many boards out there will not offer a solid base for you to practice and get into SUP. You need to get as much stability out of a board as possible to allow you to find your feet and make it easier to balance. This will also benefit you when you progress giving you a greater all round performance. From our personal experience with keen riders starting out, they always get on better with bigger and wider boards to start with. Giving yourself as much width and length as possible will allow you to focus on your paddle strokes rather than worrying about being unstable and falling in. Added size means extra stability. However, if you think you’ll pick it up easy then don’t go over the top as you’ll soon get used to the balance and want something that will allow you to manoeuvre easier and go a bit faster. Obviously not as big as this awesome giant board below ! 3.Do You Need A Top End, Expensive Board? Our answer is No! A fancy and expensive board isn’t need when starting out whatever your level. There are many entry level SUPs like our popular Two Bare Feet and Sandbanks SUP style boards that give excellent all round performance and stability and are great for progressing. Focus more on the design size and shape of the board rather than the fancy brand name! 4.What do you want to progress into? Another point to put into consideration is what your end goal is with SUP. Do you want to progress into paddle surfing, exploring, touring, or using your board on rivers and lakes? When you are buying your first SUP you should highly consider this. If you’re thinking about exploring with your SUP then start with something slightly longer, we would recommend something 10’6 or above getting you used to the extra length and stability. Or perhaps you want to surf then something slightly shorter will be ideal, perhaps a 9’6 or 10’0 board. We hope these simple tips will give you some things to think about when buying your SUPs and of course if you have any questions or need any advice, get in touch!